The revised 6th Edition (2017) “Coal Preparation in Southern Africa” handbook is now available. If you would like to purchase a copy. Please contact Gerda Craddock for details on purchasing the handbook. The November 2017 issue of Mining Review Africa has a special feature on “The Southern African Coal Processing Society (SACPS), an organisation committed to ensuring the evolution and advancement of coal processing technologies through education, is preparing to celebrate its 50 year anniversary. In honour of this phenomenal achievement, LAURA CORNISH presents an account of the very first years it was started, the major milestones achieved and some of the special memories worth noting thanks to some of the ‘memoirs’ of founding member Professor DAVID HORSFALL”. The history of the SA Coal Processing Society was documented by the late Professor David Horsfall. He did not, unfortunately, get to finish the work. You can download a copy of the draft document here. Any additional information will be welcomed and incorporated into the document. 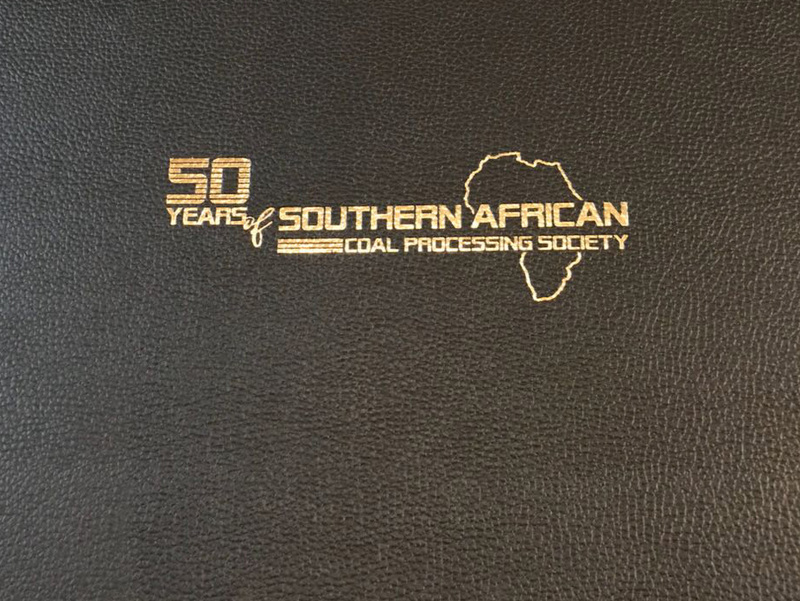 A special commemorative book was compiled to celebrate the 50th anniversary of the Southern African Coal Processing Society. This high-quality leather-bound coffee table book traces the history of not only the society but of coal production and beneficiation and the role it played and still plays in the region. The book is available for R500.00 excluding VAT. Please contact Gerda Craddock at info@sacoalprep.co.za or on +27 79 872 6403 to order.